She Invented a Board Game With Scientific Integrity. It’s Taking Off #MakerEducation « Adafruit Industries – Makers, hackers, artists, designers and engineers! A dream come true for data geeks and bird lovers. Great piece from The New York Times. 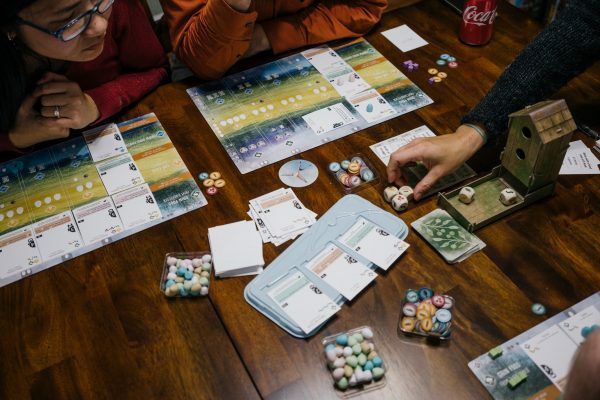 And in her spare time, she’s been crossbreeding her analytics skills and her birding hobby to hatch something new: a board game, her first ever, about … birds. In “Wingspan,” published Friday by Stonemaier Games, players assign birds with various powers — represented by 170 illustrated cards, hand-drawn by two artists, Natalia Rojas and Ana Maria Martinez Jaramillo — to wetland, grassland and forest habitats. Aiming to design a game with scientific integrity, Ms. Hargrave pulled data on North American birds from eBird, a citizen-science project managed by the Cornell Lab of Ornithology. She also made use of the lab’s All About Birds website, as well as Audubon’s online guide.